Can I keep my CDL? We know this is overwhelming and hard to figure out. When you call we know what to do, how to do it and we want to help you. You will be treated with respect and concern. We will ask questions about why you were stopped. Whether you took field sobriety tests and the breath, blood or urine test. 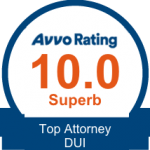 We take the time to review the facts of your case to give you the answers to your questions you can rely on. We believe every case is defensible and we will fight hard for you. 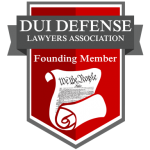 70% of the time we are successful in getting charges reduced or dismissed. Hopefully we can do that for you. We take every case serious, you can trust us! We have taken the time to educate ourselves in field sobriety tests, breath, blood and urine tests and can successfully overcome the State’s evidence in most cases. 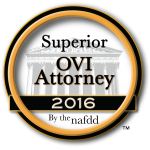 We are scientifically trained, which gives us an advantage in defending OVI cases. If you want the best opportunity at trying to reduce or dismiss these charges, CALL US! What Happens to My Drivers License? When you are charged with an OVI you will also be given an Administrative License Suspension (ALS). This suspends your right to drive on the spot. This is a Bureau of Motor Vehicle suspension which carries hard time before you can get driving privileges. If you are a first offender and take a breath test it is 15 days before you are eligible for privileges. If you refuse the breath test it is 30 days. 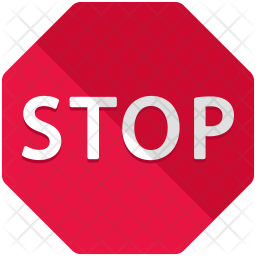 If you are a second offender it is 45 days and longer if you have more DUI convictions. The court does not have to impose the hard time from the ALS. Our goal is to stay and/or terminate the ALS, convert the suspension to a court suspension and get you driving as soon as possible. We know you need to get to work and save your job. If we can stay the ALS you will be able to drive without restrictions. If the court grants driving privileges, they will be restricted driving privileges for work, medical and sometimes other purposes you need. You will not get your driver’s license back until the ALS and court suspensions are over. If you are a CDL holder we will try to get your license back immediately and get you on the road. CALL US right away! What Happens With My Case? When you are charged with an OVI and receive your ticket it will have a court date on it for your first hearing. This hearing is called an arraignment. It must be held within 5 days to talk about driving. The only thing that happens at an arraignment is that you enter a plea of not guilty. In some courts we can get you driving, but it depends on your records and the court. The court then sets the case for a pretrial at a later date. Between the arraignment and pretrial, we will file multiple motions on your behalf. The prosecution must give us all the evidence they have against you including videos, to allow us to create a defense for you. At the pretrial, we know how to defend your case and discuss this with the prosecutor to try to work out a reduction or dismissal of your case. If the prosecutor is not willing to do what we want him to do, we will then file a suppression motion which will challenge the state’s right to pull you over, get you out of the car, the field sobriety tests, whether there was probable cause to arrest and the breath test results. This motion is complicated and will be set for a hearing before the court. The state has the burden to prove that they have done everything correctly at the hearing. If we are successful at the suppression your case should be reduced or dismissed. If it is not, then the case will go to a trial. We will guide you through every step of this process and answer all of your questions so you are not worried about what’s going on. Here's what some of our former clients have to say..